*** BE FIRST TO VIEW WITH HUMBERSTONES HOMES NOW & BEAT THE RUSH!! *** NO UPWARD CHAIN- Extended & RE-FURBISHED semi detached with OFF ROAD PARKING and GOOD SIZED rear garden. 2 X RECEPTION ROOMS, NEW breakfast kitchen, NEW downstairs shower room, plus NEW upstairs bathroom, 3 X BEDS. UPVC double glazing & gas central heating (combi boiler) EPC rating D.
NO UPWARD CHAIN, this is a spacious, extended, newly refurbished three bedroom semi detached property set in a popular residential area. The accommodation briefly comprises on the ground floor of entrance porch, entrance hall, front and rear reception rooms, extended breakfast kitchen and downstairs shower room. At first floor level there is a landing, three bedrooms and bathroom. Externally to the front there is a block paved drive and to the rear a well proportioned garden. the property benefits from UPVC double glazing and gas central heating (combi boiler). 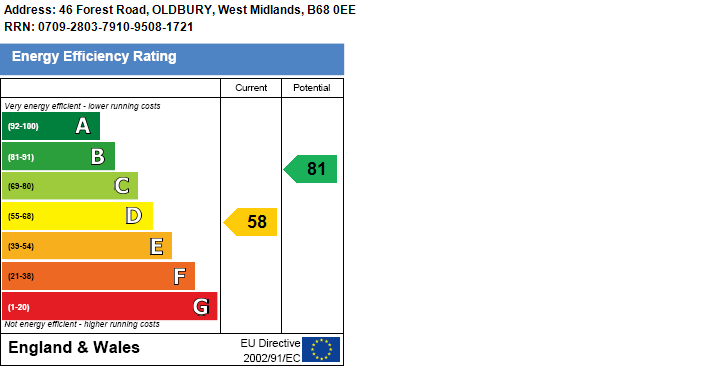 EPC Rating D.
Forest Road is a tree lined road set within this popular sought after neighbourhood which is handy for local amenities, and provides access to Hagley Road West with public transport into Birmingham City Centre and motorway access at junctions 2 & 3 of the M5. The property can be found turning off Hagley Road West into Stanley Road, turn first left into Forest Road where the property can be found on the right hand side as indicated via the agents for sale board. Having tiled flooring, four recessed ceiling lights, part glazed door to side passage and wooden door to entrance hall. Having laminate flooring, stairs to first floor landing, ceiling light point and doors to front and rear reception rooms. Having laminate flooring, single panel radiator and ceiling light point. Having laminate flooring, understairs store, single panel radiator, ceiling light point and doors to breakfast kitchen. Rear Facing - Fitted with range of wall and base units with work surfaces over, courtesy tiling, inset sink unit, electric oven with gas hob over and chimney canopy above, feature lighting, plumbing for washing machine, concealed wall mounted combination gas central heating boiler, nine recessed ceiling lights, one ceiling light point and doors to side passage, rear garden and shower room. 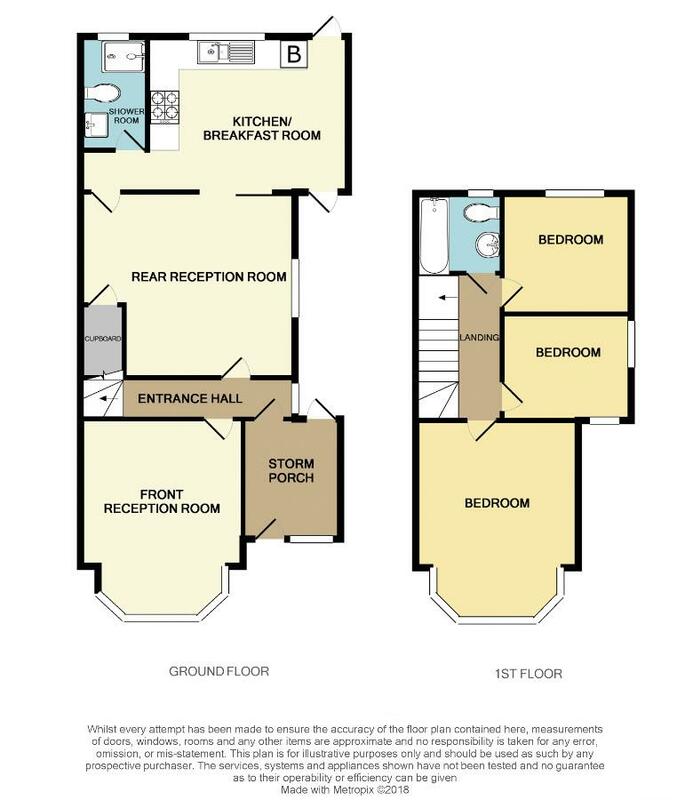 Rear Facing - Fitted with suite comprising, double shower cubicle with mixer shower, low level wc, wash hand basin set into vanity unit, tiled floor and walls, heated towel rail, extractor and ceiling light point. Having doors to bedrooms and bathroom, ceiling light point and access to loft space. Dual Aspect - Having single panel radiator and ceiling light point. Rear Facing - Having suite comprising, paneled bath with shower tap attachment, low level wc, pedestal wash hand basin, tiling to floor and walls, heated towel rail, extractor and ceiling light point. Having block paved driveway with parking. Well proportioned enclosed garden with patio area the remainder being predominantly laid to lawn with further graveled area to the far end.